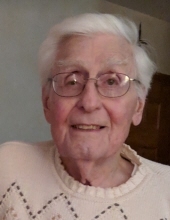 David A. Sullivan, 89, of Fond du Lac, passed away on Monday, March 25th, at his home, surrounded by his loving family. David was a graduate of St. Mary's Springs Academy. He was an avid tennis player who loved sports, including football, basketball, softball, ice skating, and ping pong to name a few. He was active in the church, choir and the Jaycees. He spent time travelling with the Marquis Drum and Bugle Corps with his children. He planted beautiful gardens every year. Being together with family was his favorite activity whether camping or cheering on his children while they played sports and participated in their activities. He also had a love of airplanes, was a member of EAA, and attained his private pilot license. He is survived by his wife of 69 years, Patricia, his children, Patrick, Terry, Katie, Karen, Colleen, Ann, Mary Beth, Brigid, and Sheila. Also surviving are his 12 grandchildren, 7 great-grandchildren, 1 sister, and 2 brothers. He was preceded in death by his parents, Arthur and Margaret, 4 sisters, 2 brothers, and an infant son, Brendan. Services: Visitation will be on Tuesday, April 2nd, from 11:00 to 12:45 at Holy Family Church, 271 4th Street Way in Fond du Lac, followed by a Mass of Christian Burial at 1:00 pm. Private interment will be in the Calvary Cemetery at a later date. In lieu of flowers, donations may be made to Hospice Hope of Fond du Lac or Holy Family Church. "Email Address" would like to share the life celebration of David A. Sullivan. Click on the "link" to go to share a favorite memory or leave a condolence message for the family.